Apparently, terrorism pays. It pays very well. For some time now a trio of self-proclaimed ex-terrorists has been making the rounds of the lecture circuit, charging thousands of dollars for their fantastical tales of life as murderous Muslim extremists. Walid Shoebat, Kamal Saleem – both US citizens – and Zacharia Anani, a Canadian national, all claim to have been members of the Palestine Liberation Organization. Anani claims personal responsibility for the deaths of over two hundred people. Shoebat says he was part of a terrorist cell inside the United States. Their most recent appearance was at the Air Force Academy in Colorado Springs, which hosted the three at its 50th Annual Academy Assembly on the topic, "Dismantling Terrorism: Developing Actionable Solutions for Today's Plague of Violence." Shoebat, Saleem, and Anani were asked to speak about their personal experiences as Islamic terrorists, to provide the next generation of US soldiers with an inside account of radical terrorism. The selection by the Air Force Academy of these speakers was criticized by both the Military Religious Freedom Foundation (MRFF) and the Council on American-Islamic Relations (CAIR). Why? Because it turns out these guys are not ex-terrorists at all but—wait for it—fundamentalist Christians posing as ex-terrorists. Their fervently anti-Islamic message, in which all Muslims are labeled as radicals, is a prelude to a testimony about how accepting Jesus into their hearts and becoming born again saved them from a life of terrorism. Walid Shoebat is a favorite of the “Left Behind” crowd and has spoken at Tim LaHaye's Pre-Trib (Pre-Tribulation) Research Center. Kamal Saleem, whose real name is Khodor Shami, worked for Pat Robertson's Christian Broadcasting Network for sixteen years, and was hired by Focus on the Family in 2003. In 2006, he launched Koome Ministries, whose mission is to “expose the true agenda of [Muslims] who would deceive our nation and the free nations of the world... America must wake-up and set a continued Christian agenda of Liberty and Truth as a standard to follow throughout the free world." Since the three began their speaking careers, the authenticity of their claims has been repeatedly challenged by academics and terrorism experts, who have found many aspects of their stories don't add up. According to Tom Quiggin, Canada's only court-qualified expert on global jihadism, and a former Royal Canadian Mounted Police intelligence and national security expert, "Mr. Anani's not an individual who rates the slightest degree of credibility, based on the stories that he has told." Among other things, Quiggin points to Anani's claim of killing hundreds of people after joining his first militant group in Lebanon at age 13. Anani, now forty-nine, would have been 13 in 1970. However, the fighting in Lebanon did not begin in earnest until 1975, and religious-based terrorism was practically unheard of there until after 1979. According to Anani, he left Lebanon for Egypt to attend Al-Azhar University at age 18, three years earlier. “His personal story gives him credibility as an anti-Islamic preacher,” he said. “But it is not verifiable and without it he's no different from other fundamentalist preachers and there's plenty of those out there." Here’s a question: if the claims of these three are true, why aren’t they in Guantanamo? Mikey Weinstein, head of the Military Religious Freedom Foundation, which has worked tirelessly to uncover precisely the kinds of constitutional violations of church and state that occurred when these three spoke, or rather, witnessed, at the Air Force Academy, put it this way: "If their claims are true, these alleged ex-terrorists should be deported or prosecuted, unless our government now considers conversion to fundamentalist Christianity a reason to disregard prior terrorist activities. If their claims are fabricated, they have criminally defrauded every institution that has paid them to speak." Strangely, no arrests warrants have yet been issued. 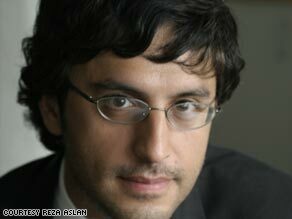 – Reza Aslan/Author "No god but God"
Hello, I am a poor spammer from Belarus. Excuse me.